the oldest of 10 children born to farmers Charles and Clemeteena Howell who transitioned earth on May 1935 and May 1919 respectfully. He left home at the tender age of 13 for his global travels with the support and encouragement of his parents. 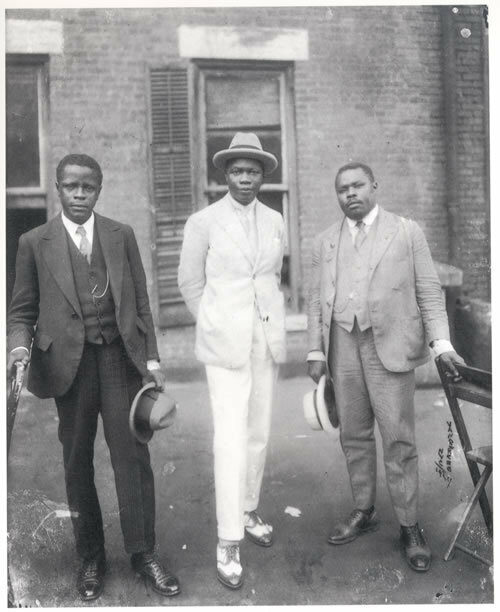 As a young man, he traveled around the world from Panama to New York to West Africa noting as Marcus Garvey, the unfortunate living and working conditions of Africans. Howell had stationed himself for a period of time in North America where the social ravages of racism were common practice. This directed his intent in working for necessary reforms. Howell was regarded as a mystic. That is a person who is in touch with or can manipulate the spirit world. Hope L. Howell, his brother, claimed that L.P. Howell was a healer (in the Jamaican myal/Balmyard tradition) who helped many sick people while he lived in New York, during the last great depression. Leonard James Percival Howell (Gong Guru Marag): A high Mystic world traveler was present in Addis Ababa in 1930 and attended the coronation. He returned to Jamaica and preached the divinity of Emperor Haile Selassie the First, established The Ethiopian Salvation Society, the African Salvation Union of Jamaica and Pinnacle. Dr. Leonard Percival Howell is the most significant personality in the first 30 years in the Rastafarian Movement. From 1933 – 1940 he expounded the doctrine of Rastafari between Kingston and St. Thomas. 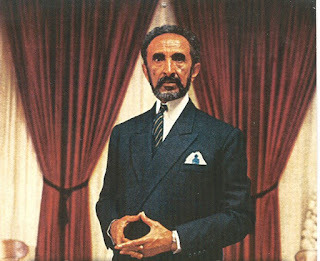 During this time, Howell through the use of “powerful propaganda and personal charisma” secured a following much larger than any other exponent of Rastafari. In this case, the inception of Rastafarians came in 1930 when Jamaica was at a low tide economically and socially. Socially, people experienced the brunt of the great depression as well as a disaster due to a devastating hurricane. Politically, Jamaica was gripped by colonialism and the future of the masses looked hopeless. Howell is the man most credited with the initial spreading of the Rastafari way of life. He began his ministry in the poor urban slums of Western Kingston, among the urban poor extending to the rural areas of St. Thomas teaching and preaching the Rastafari doctrine. He was reported to have fought on African soil and to have command of several African languages. It is important to bear in mind what was happening in that parish of St. Thomas during the period (1933-1938). Also important to note are the antecedents of "skin for skin" message and uprising by Paul Bogle in 1865 and the peculiar characteristics of the parish regarding African retentions in religion and other cultural activities. According to his testimony, Howell began preaching in 1933. He was arrested in Seaforth on December of 1933, tried for sedition at the High Court in Morant Bay under the leadership of Chief Justice Sir Robert William Lyall-Grant and imprisoned for two years. While he was incarcerated, the movement grew. He was arrested a second time but was diverted to the asylum, a tool used by the colonial powers to silence anyone who challenged their crimes against the Africans in Jamaica. At his 1934 trial in Morant Bay, he put forward the most illuminating treatise on the origins of the philosophy Rastafari. The colonial authorities wanted to prevent a second chapter in that book of philosophy, described as "devil doctrine" by the chief justice. Howell was described by the newspaper reporter as "dapper" having a beard resembling that of the Emperor of Ethiopia. He wore a three-piece black suit with a rosette of black, green and gold. The same was worn by his followers in the audience. Indeed, most recently, Mr. Frank Gordon OD wrote on the national flag and its colors. I am sure Frank will be surprised that Howell was the pioneer in capturing the combination of these colors as a symbol of the movement. Howell was released prison in 1936 and ret’d to St.Thomas 1938-1939. He was driven out by the terror of the police, politicians, planters and trade unionist mob from Port Morant. 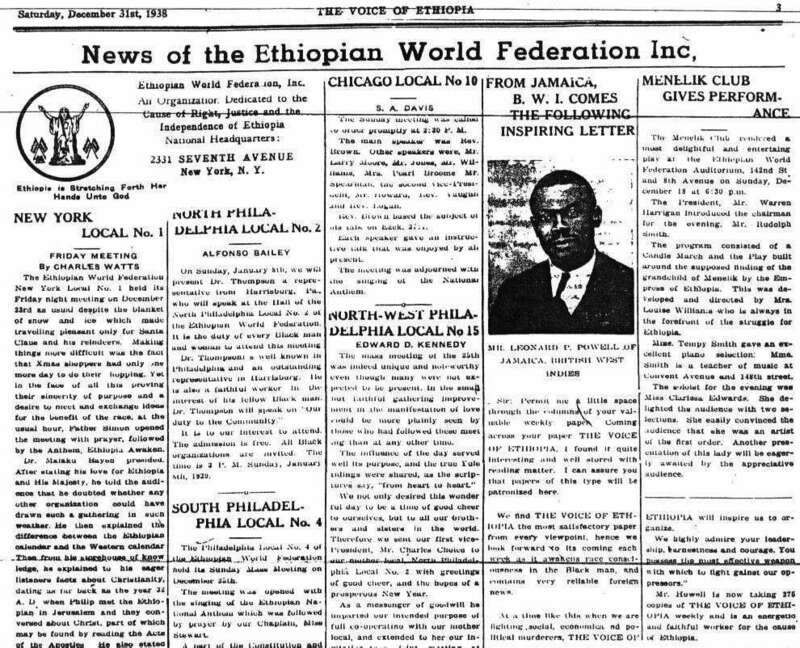 He established the Ethiopian Salvation Society in 1939, bought Pinnacle in 1940 and by 1954 the government, in its anti-communist drive, invaded and destroyed Pinnacle, the first Rastafari commune. Pinnacle is located in Sligoville, St. Catherine, Jamaica. It consists of over 500 acres of land, (part of which over looks Kingston/St. Andrew). In May 1940, Mr. Howell purchased and took occupancy of Pinnacle for The Ethiopian Salvation Society. The previous owner, Mr. Albert Chang, was paid cash by L.P. Howell in order to purchase this abandoned colonial estate. Mr. Howell was financially resourceful and independent not using money for personal fulfillment. Instead, he led a humble life at Pinnacle committed to his race. During the late 1930's when the famous "uprising" took place in St. Thomas, Jamaica, many ex-slaves were suffering racism, oppression, inadequate living conditions and hunger. Pinnacle became the safe-haven for approximately four thousand blacks who desired to live and work communally in Unity. Under Howell's leadership, Pinnacle was transformed into one of the largest self-reliant/economically empowered communities in Jamaica. Farmers lived and worked in Pinnacle, producing a variety of fruits, vegetables, beans, peas, yams, banana, cassava, corn, coconut and many other products. Ganja, a culture adapted from East Indians (River Ganges) was grown mainly for spiritual meditation, worshiping and medicine. Howell has apparently started a movement which he calls the African Salvation Union of Jamaica. He described it as an international organization pledged to support morally and financially the continued independence, national integrity and complete sovereignty of Africa. There are many more "secret" correspondences from the Colonial Office in Jamaica to London and from the police to the attorney-general. These are correspondence about a significant personality and idea, making Howell a serious political figure of the period. Howell was indeed "dapper", the most militant Rastafari. According to the Observer article (Feb 9), militant Rastas did not embrace his conservative image so they began to grow dreadlocks. Not so. The emergence of the dreadlocks came at a certain time in the movement. It emerged about the time when Ethiopia was invaded by Italy. It was influenced by the unfolding of new images from Africa especially from Kikuyu fighters and others who established solidarity with Haile Selassie against the Italians. 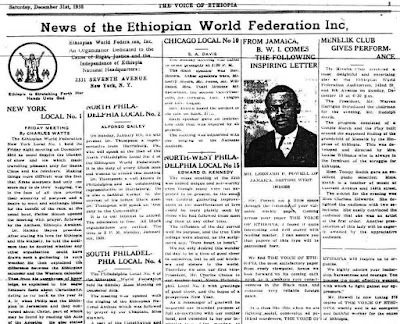 The article, however, carried a significant statement by Howell: "We the living members of the Ethiopian Salvation society shall serve Haile Selassie to the end and all well-thinking men and women regardless of color and creed will do likewise." Indeed, today, Rastafari is not just a Jamaican phenomenon. It has become a universal force. What the planters, the trade unionists, the colonial authorities, established churches and the police tried to crush in infancy has emerged as a new centre of power in the world. Howell, in my thinking, has to be one of the most influential Jamaicans of the 20th and the 21st centuries. 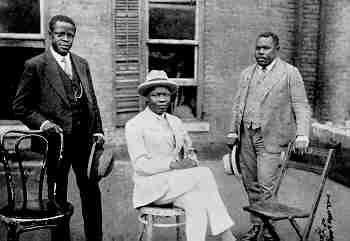 It is important to note that Howell was put under the police microscope the moment he arrived in Jamaica in 1932. The book La Premier Rasta by Helene Lee mentioned his troubles with the police; how the raids and seizures destroyed evidence vital to the history of the man and the movement. The leaders of the established and evangelical churches worked hand in hand with the police to terrorize and uproot Howell from St Thomas. Including the planters, they were all violently opposed to the "race conscious' doctrine of Rastafari. Apparently, there was a fear that the message would dislodge the "ex-slaves" from the plantation culture. In an effort to answer, "Who is the Man?" I will examine the reactions of individuals and institutions in their speeches and letters about Howell. The Detective instructed me to keep an eye on a man named Leonard Howell, a Jamaican, who has been holding meeting in Kingston on the subject of Rastafari, King of Abyssinia, and whose speeches at his meetings might have a bad influence on the less educated people. "Howell, you have been convicted by the jury for uttering seditious language: this is such language as is calculated to cause disturbance and violence among the ignorant people of this country...to stir up the people against the government and to do acts of violence and I mistake not, you have already succeeded in making people discontented and committed acts of violence." "Serious trouble is brewing at Port Morant in St Thomas, owing to a mischievousness of a man whose name is Howell, leader of this terrible thing they called the 'Rastafari'. In St Thomas, he is endeavoring to put one group against another and would not be surprised if something serious happens to him; and for that a riot does not take place here because he is fomenting serious trouble...It seems to me the only right and proper place for this man is the asylum. He is a danger to the peace of the community. I think he is the greatest danger that exists in this country today, and I believe the police can confirm this." Indeed, a riot was fomented against Howell. It was this early experience of political violence that ran Howell out of St Thomas. He returned to Kingston and in 1940 he bought Pinnacle. The latter was crushed by the same Bustamante in his 1954 anti-communist drive. During the last raid on Pinnacle, in 1954 the police burned to the ground homes belonging to thousands of Rastafarians. Included in the fire were furnishings, personal items and clothing. Having no place to live and their leader in jail, most Rastafarians relocated throughout Kingston, St. Catherine, Clarendon and St. Thomas. 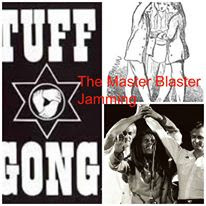 That was the beginning of the Rastafari dispersion and relocation in groups of churches and mansions. In the 1970's, a small flock of Rastafarian elders took refuge in Tredegar Park St. Catherine continued to support the teachings of Howell until his death in 1981. Until today, the Rastafarian of Pinnacle were never, compensated for their loss of property, homes, lives and humiliation suffered. It is said that Howell had been arrested, incarcerated and was sent to Jamaica's Mental Institution over (50) fifty times. At one meeting, Howell was noted as having said that Mr. Neville N. Ashenheim, a prominent Lawyer of Jewish background, argued for the Bill of Rights in terms of protecting property rights and that property could not be confiscated without adequate compensation. "At Emancipation the planters were adequately compensated for "freeing" the slaves, but I, Leonard Howell was never compensated for Pinnacle and the crimes committed against me and the Rastafarian people." During the 1980's, the Jamaican government sold off most of this land at Pinnacle to foreign and private investors. Pinnacle is now sub-divided and being sold off by "The St. Jago Hills Development, Ltd." located at 20 Hope Road, Kingston, Jamaica, W.I. The have got hold of Pinnacle Estates, St. Catherine (the first Rastafarian Free Slave Community) and they are selling/sub-dividing the land (over 500 acres). Last November 2006, The Leonard P. Howell Foundation and other personnel (collective) had a meeting with the then Prime Minister - Portia Simpson to help restore Pinnacle and make it a Rastafari Cultural Center. In addition, last June 2007, Howell Earth-day celebration was held at Pinnacle. The developers (Ms. Lois Sherwood and her brother-directors of St. Jago Hills)filed legal claim against "The Rastafarian Nation, 1st Order of Nyahbinghi Theocracy, Leonard P. Howell Foundation, Ras Lion and Ras Howie for possession of the Pinnacle site and land. BlueHost is the best web-hosting provider for any hosting plans you need.